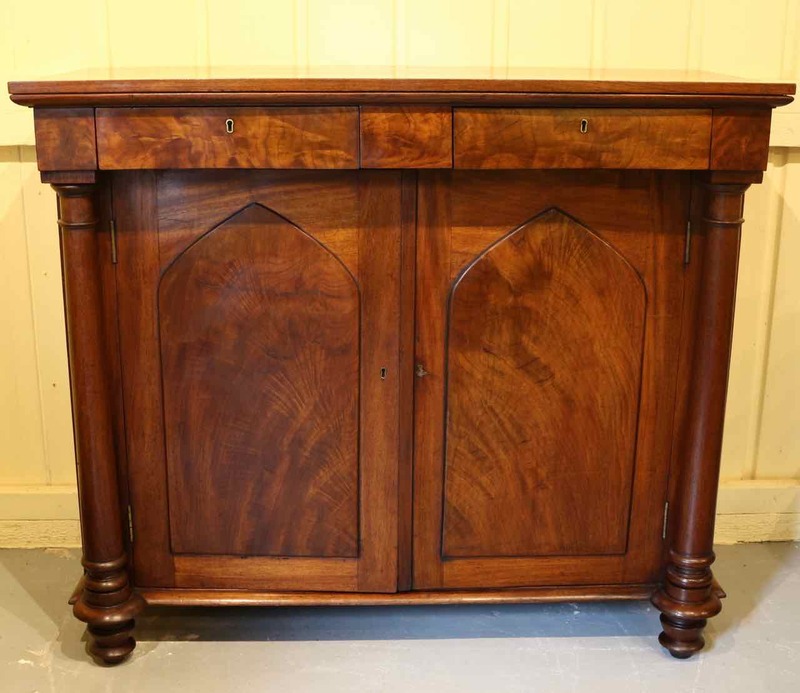 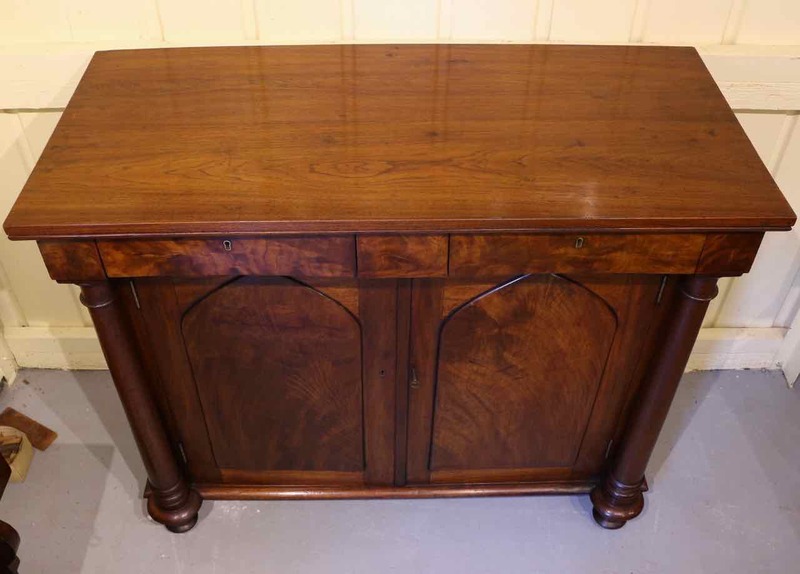 Mid 19th Century Colonial Australian Cedar Chiffonier, with two doors featuring applied Gothic style highly figured arched cedar panels, flanked by turned tapering columns, standing on turned feet. 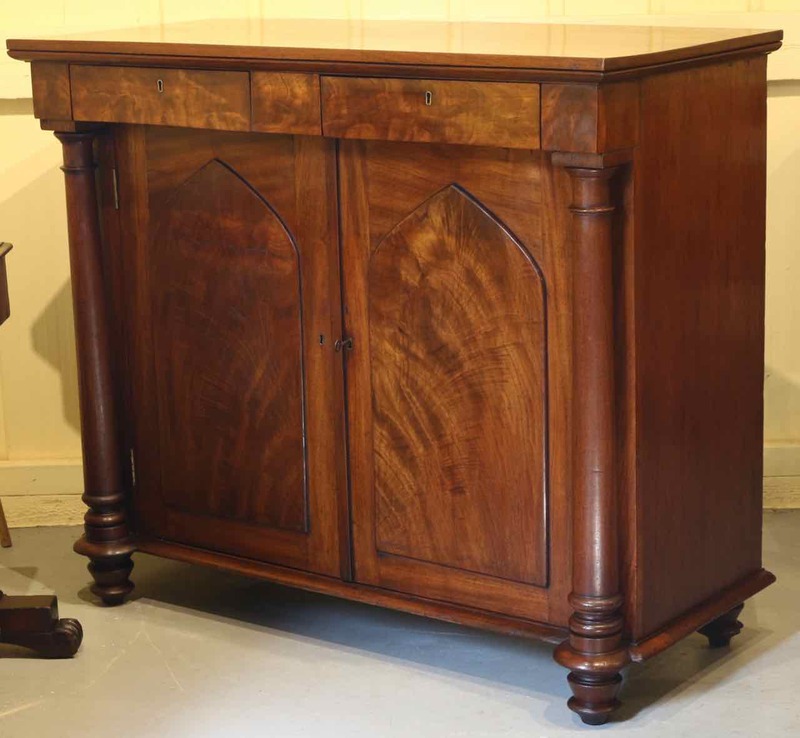 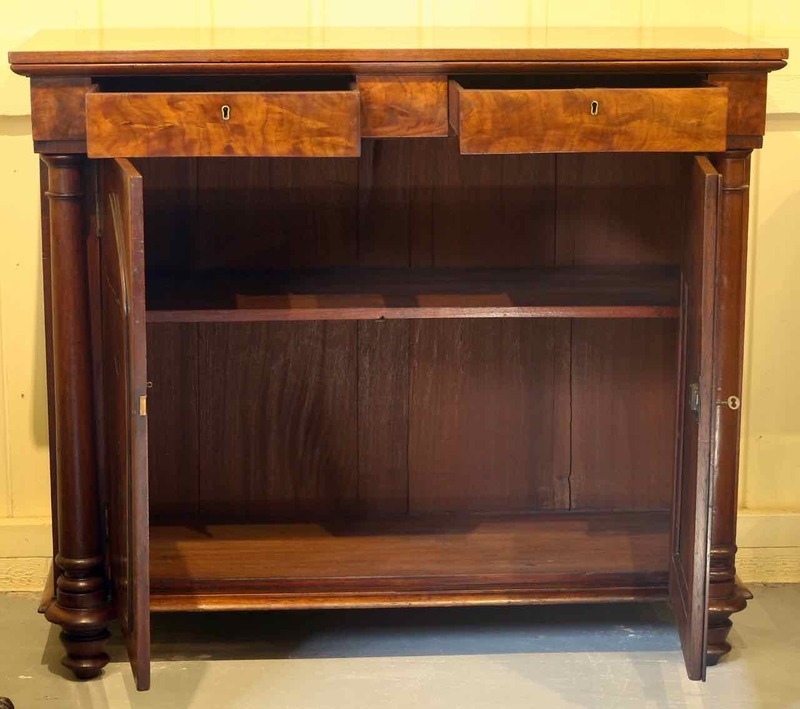 Also featuring two frieze drawers with highly figured cedar fronts. 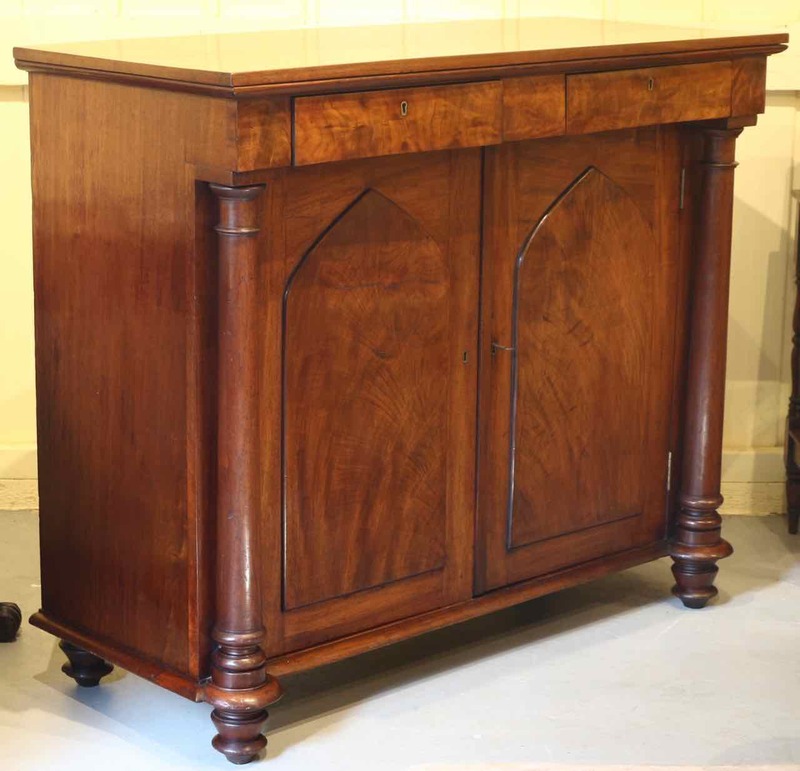 A very interesting, good quality early colonial piece, featuring dense heavy cedar.